Image and words perfectly combined! 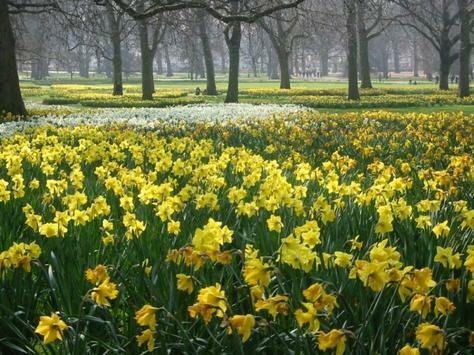 Daffodils should thank you for you kindness and love in the text! Write a poem fitting our week 12 theme (Nature, Plants, Creations & The Cosmos), post it, and link in to our potluck, you are also allowed to link in unrelated poems. we are open Sunday, 8pm, American central time. We value your contribution on previous weeks, Hope to see you in. can i put up this one too for the potluck? best wishes in getting most or best possible feedback. this one has very beautiful imagery. I long for these solar systems of a garden. Hey, Good Lyrics. Daffodil is a very very good one. I went throughout and poem and got the very image it intends to give in a multidimensional way. I liked it! The cadence and flow with good rhythm makes it charming. I will be coming for some more………… Merry Christmas! and Happy New Year! The way you’ve described daffodils is so nice. Beautiful. You are nominated, you win one vote, if you nominate other poets, you win another vote 4 yourself, in addition, voting helps you exposed to other poets and make new friends in our community. Hope to see you vote.. Your support means a world to us..